10x10 wants YOU to be a part of the world’s biggest house party. Why? This is a house party with purpose, that’s why! By hosting a Girl Rising viewing party in your home, you create visibility for girls around the world, and get the chance to raise funds to educate them. On June 16th, they want you to have a good time while doing good. Host a viewing party for the CNN premiere of Girl Rising. CNN Films' "Girl Rising," directed by Academy Award nominee Richard Robbins, tells the stories of girls across the globe and the power of education to change the world. The stories are told with the help of celebrated writers and renowned actresses such as Meryl Streep, Cate Blanchett and Selena Gomez. 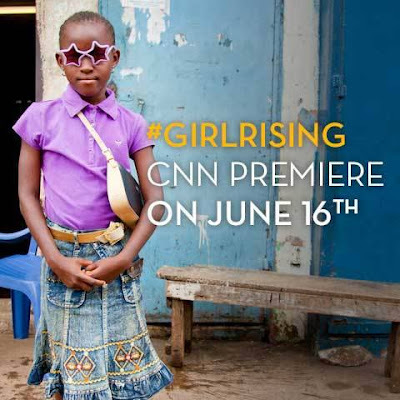 Watch "Girl Rising," airing on CNN June 16 at 9 p.m. ET, and explore more stories, news and conversations around girls education here in the coming weeks. For more information, take a look here: http://bit.ly/15bj1Vo.